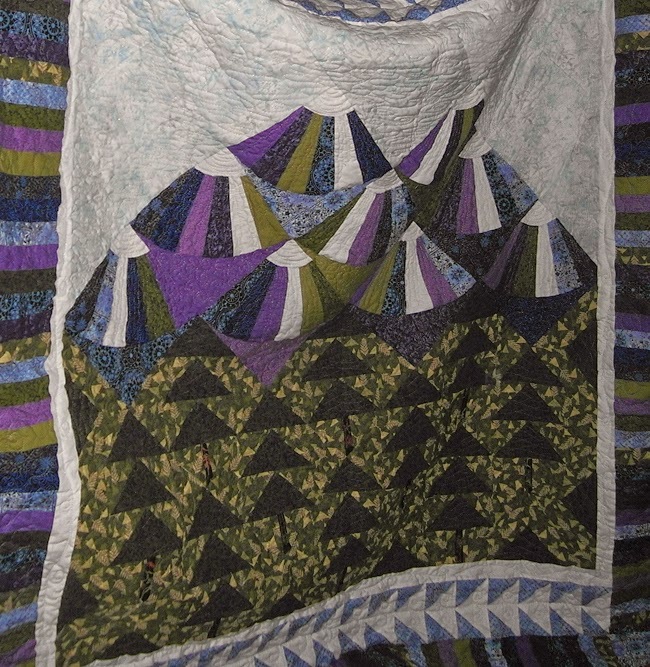 ' Mountains Quilt - Sisters, What! I had to share this one last quilt this week. My brother's wedding quilt made by my mom. Again this is another quilt by our mother; a wedding quilt for my brother and his new wife. It is definitely a masterpiece. My brother loves the outdoors and love to hike so this was truly perfect for him. 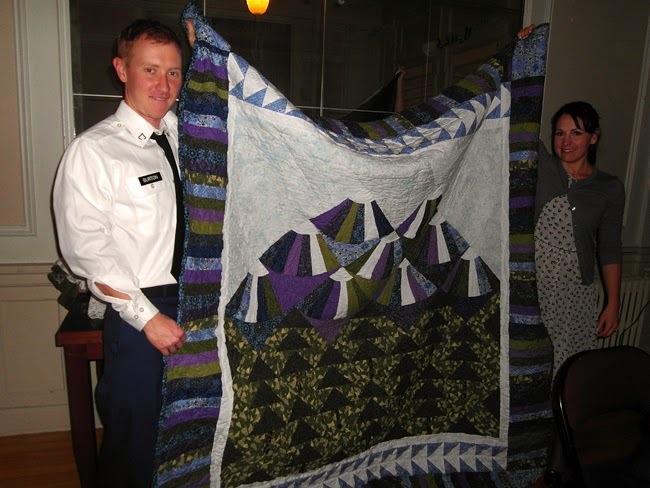 When she asked if he'd like a quilt, he asked if he could pick out the fabric. Yep, the secret is out, he picked out the fabric. He certainly has good taste. Don't tell him I told you that. I really wanted to share my wedding quilt, but I did get a chance this week to take a picture. I'm kind of lazy and it's big and would require my husbands help. But, like I said, it will eventually make an appearance on here.